3 ZX vs Commodore - is Atari maybe the best? 7 Here it is - The official BalCCon2k16 T-shirt design! 11.2 So we bring our projects and set up workshops and so on? 11.3 Great, we will bring ALL THE THINGS! 11.4 Yes, we will do some workshops! 11.5 How about a projector for our area? This year's Balccon will have its own numbering station (ns)! If you don't know what numbering station is, your QTH @ 2016-09-10 17:45 should be Pupin conference room! If you don't know what QTH is, you should probably ask the friendly ham radio bunch in the lobby. Balccon numbering station can be listened to using the receivers that you can build in a workshop following the ns lecture. We (yu7aop) are there to help you with the build and if you don't know how to solder, we'll assemble the kit for you – if you promise us to learn how to solder until next Balccon! When you get the receiver working you can listen to the coded ns transmissions. Following its schedule, numbering station will dictate the sequence of characters that represent encrypted message. Between the encrypted transmissions it will broadcast some badass new retro wave tunes! Don't be afraid to try to crack the code (this year it's not that strong - but to balance it out we've added some naughty subliminal messages in the plaintext message). No really - encryption is not that strong, you don't have to be a encryption wiz to win the numbering station hacking competition and win 3 liters of purest ham radio moonshine, distilled just beside 2kW linear amp in the year with at least 99 sunspots recorded (extremly importaint in hamradio moonshine quality). Second place gets 2 liters of moonshine, and the thrird place gets 1 liter. Accept the challenge and have fun making the receiver, hacking the numbering station, listening to the cool music or just hanging out with the ham radio operators. ZX vs Commodore - is Atari maybe the best? 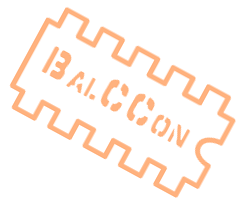 On BalCCon2k16, we want everyone to have an opportunity to speak! Lightning Talks are short lectures (almost) any congress participant may give! So we are soliciting short, but engaging 5 -10 minute talks – Lightning Talks – from any and all attendees. The Lightning Talk format provides very personal, concise thoughts, ideas or calls for action. Typically speakers use lightning talks to talk about their experience, their opinions or for a wake-up call towards the agile community and markets. Lightning talks are different from other sessions. We are allowing maximum 10 minutes, so you should address a single focused topic. Your proposal can be equally short and should address your inner fire: simply tell us why this topic is on your mind. 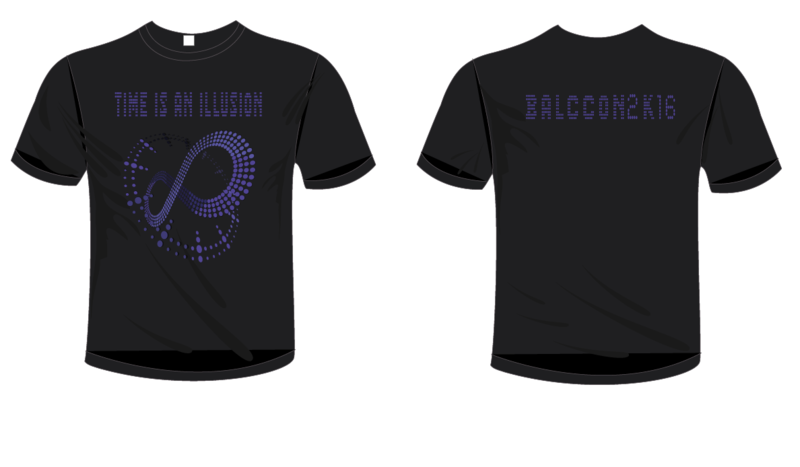 Here it is - The official BalCCon2k16 T-shirt design! All paid ticket are ready for download!!! There is limited amount of tickets and also there is limited amount oBalCCon2k16 Badges, and will be sold on first come first served basis. To avoid waiting in long lines we urge you to come in early in the day. We'll also sell tickets on site. Just show up at BalCCon2k16 and buy a ticket on the cash desk. On BalCCon2k16 we want to put also focus on groups meeting and discussing topics. For many groups it was hard to find a decent home base to discuss ideas and get new folks interested in their community. For interested hackers it became harder to find someone to talk to, as everyone was wandering around. So, if you are a group of hackers who like to work and hang out together, bring your toys, work on projects, have fun and let others participate in what you’re doing! Please let us know what you’d like to do, how much space you’ll need, what you’d like to bring with you, how much power your gear will consume, etc… Keep in mind: The more you tell us about your plans the better your chances that you’ll actually get what you want. Be aware: Only Assemblies that were added until 06st September will get an own place! So we bring our projects and set up workshops and so on? Yes, sharing your knowledge and showing other participants about your projects is central for everything going on at the congress. If people in your Assembly want to offer workshops or maybe lectures on a small scale, maybe there’ll be enough space for you to integrate a workshop area into your Assembly. For bigger workshops there will be workshop room. Be aware that the space is limited. But assemblies are invited to bring their toys and also to decorate their spot on the Congress – as long as everything you bring with you does not block exit paths and is not inflammable. These two requirements are important, and if your installations don’t fulfil them, we’ll be forced to remove them. Yes, we will do some workshops! If you would like to have small-scale workshops in your Assembly, tell us what you’re planning and for how many people. Please be as specific as possible. We will probably not allocate extra workshop space for your Assembly, if you haven’t published something like a schedule on your Assembly page. For now it will be sufficient to list topics and speakers, later we’d like to see a timetable as well.